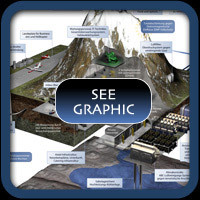 On this info chart the combined equipment of both facilities are schematically outlined. 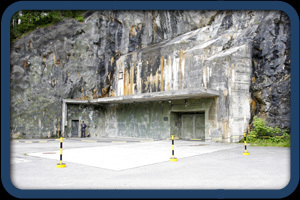 Swiss Fort Knox® consists of two independent underground data centers, belonging to the top IT-infrastructure of Europe. The facilities are equipped with the latest technologies, physically separated by 10km and connected internally as well as with the Internet by a high performance network. 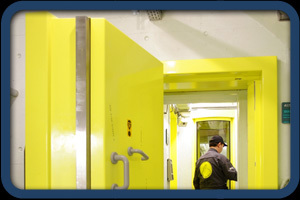 Swiss Fort Knox® is resistant against any known civil, terroristic and military threat, incl. ABC and EMP. Embedded inside the Swiss Alps and hermetically sealed, Swiss Fort Knox® also offers protection against environmental disasters such as earth quakes, floods, landslides and large-scale fires. 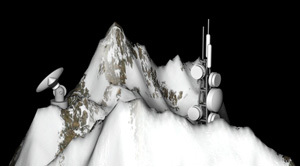 The redundant telecommunication and infrastructure of Swiss Fort Knox® represents its state of the art concept. · Full EMP (electro magnetic pulse) protection. 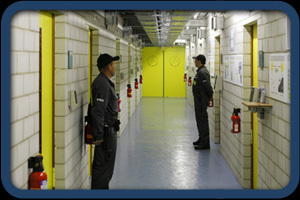 · Scanning room for commodities. · External video supervision with automatic detection. · and bullet proof lock gates. · Face recognition technology, video surveillance of any movement. · Automatic control of visitors. · 24h surveillance, ensured by a civil and military concept. 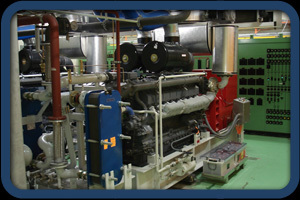 · Generators will an autonomous operation of several weeks. · Battery power for 24h. 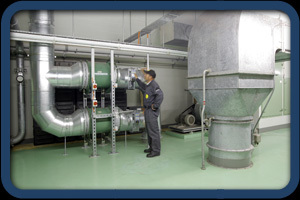 · Transformation room for production of quality power. · Climate control with rehydration for ideal, constant conditions. · Various micro-segmented air inlets at hidden locations. 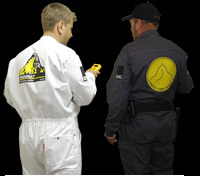 · the facility, full ABC protection. · underground lake to cool down all IT installations. Independent, dual phased IP connection to main provider. Single phase IP connection to second provider. Single microwave connection to second provider. Darkfiber connection between the two facilities. BGP4 redundant IP concept in preparation. Managed multi-level firewalls and perimeter security for every communication path.